Is your patio missing some seating? 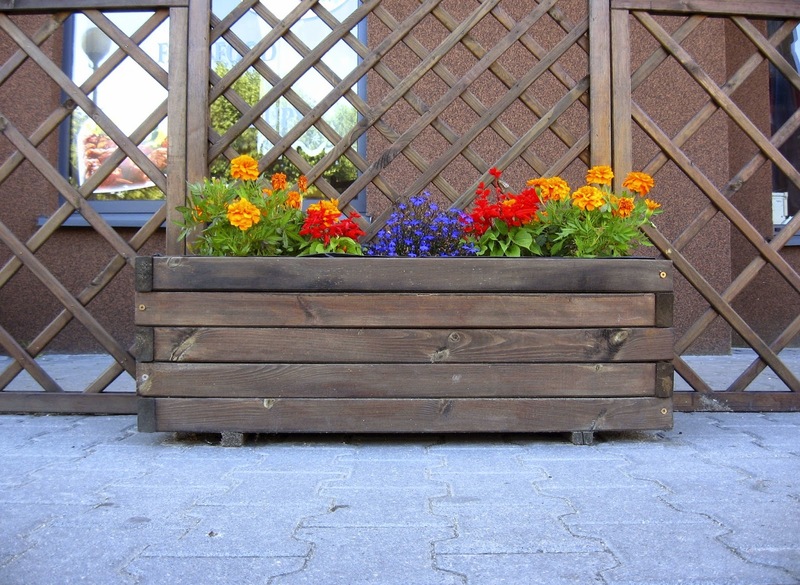 With just two wooden shipping pallets, some cedar planks, and miscellaneous building items, you can create your very own cheap, yet stylish and comfortable, outdoor bench. You can usually easily find discarded shipping pallets at a local store or warehouse, and any replacement tool parts you need online. When you’re ready to go with your circular saw, screws and nails, follow these DIY instructions and you’re on your way to owning a new, homemade bench! It seems these days, parks are simply not as prevalent as they used to be. Luckily, we’ve found a fairly easy DIY project that can spark some nostalgia in you while giving your kids something to enjoy outdoors. Before you go all out on a playhouse or full backyard playground, start by constructing a backyard seesaw. With just one weekend, some lumber and a few tools, your kids will be see-sawing in no time with a sibling or friend and loving it. Just make sure they’re safe! Another DIY project based around shipping pallets, this hanging outdoor bar is sure to delight and help you entertain both family and friends who come to visit. This project requires 8-10 wooden pallets, so start your hunt for discarded pallets before you decide to start building. The finished project is quite heavy (in order for it to be solid enough to hold bottles and glasses), so have someone help you with the final steps of lifting and attaching the bar when it’s complete. After it’s attached, the real fun begins! Load up your outdoor bar with whatever you desire and enjoy! Love spending time in the garden? A DIY potting bench will make your time outdoors more efficient and enjoyable than ever! Building a pottery bench takes almost no know-how and can be completed with basic carpentry tools. Whether you want a potting bench with shelves or you’re thinking about a potting bench with wire mesh backing, building your own potting bench allows you to save money and create the perfect-sized bench for your backyard. Maintaining your own yard can be both rewarding and, with the right plan and tools, even fun! Spring is the ideal time to get back into the habit of regularly caring for you lawn and garden. Whether you need to mow, edge, trim, plant, or all of the above, it’s important to use quality tools. Sharp tools help you work faster and are better for the health of your yard. Remember, just because your equipment is old, it doesn’t necessarily need to be replaced. Buying replacement parts for your lawn equipment allows you to save money and keep working with the same tools for longer. When working on DIY projects, remember: stay safe, use common sense, and have fun!